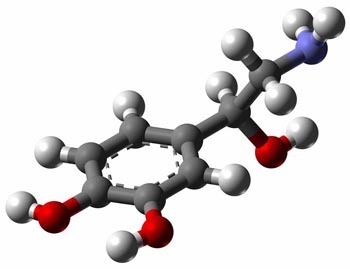 Noradrenaline or norepinephrine (US) a neurotransmitter of the sympathetic nervous system secreted by nerve endings and also the adrenal glands. It is similar to adrenaline in structure and function. It increases blood pressure by constricting the vessel, slowing heartbeat and increasing breathing both in rate and depth.